With the school year starting, my thoughts have turned to road trips closer to home. We have had our digital camera for about five years or, in road trip terms, about twenty thousand miles. Most of those pictures are stored on my hard drive and, patient subscriber, may soon be posted by me for your planning pleasure. Last post was about the Effigy Mounds/ Pikes Peak State Park area of Iowa. 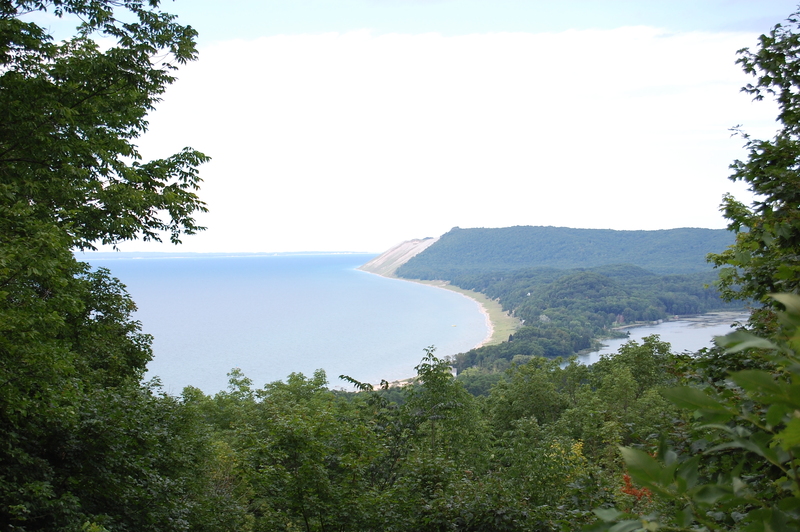 Tonight it will be South Haven, Michigan to the Sleeping Bear Dunes. About an hour and a half from Chicago is South Haven home of beautiful beaches, hidden vineyards (some quite good- my favorite is Lemon Creek), and really expensive homes. Thrice we have camped at the relatively new, very well run and family friendly KOA in Covert, Michigan. From there it is a short drive to beaches and South Haven. 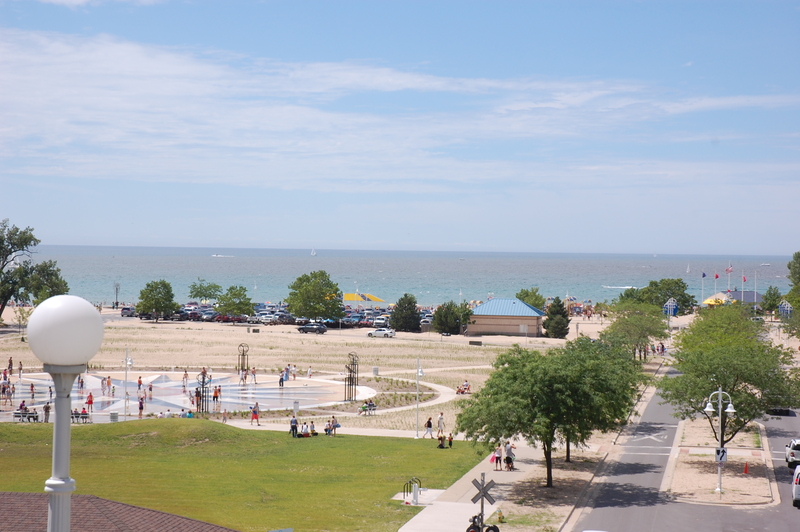 South Haven is fun, but we prefer Saint Joseph. Once home to some kind of religious retreat, it now boasts a restored carousal, a pristine beach, a so-so children’s museum, and a small city area that has a Jimmy Johns and a few ice-cream stores. Although we have never done this, you can take Amtrak directly from Chicago. 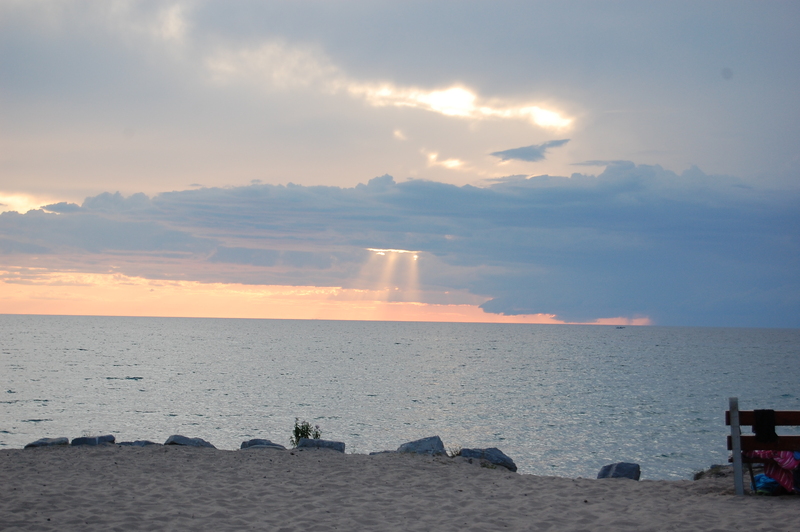 Other beautiful beaches can be found in several state parks including Saugatuck Dunes State Park. Going a little further up the coast one passes through Grand Haven (truly more grand than its’ southern namesake) which has a very cool city beach. 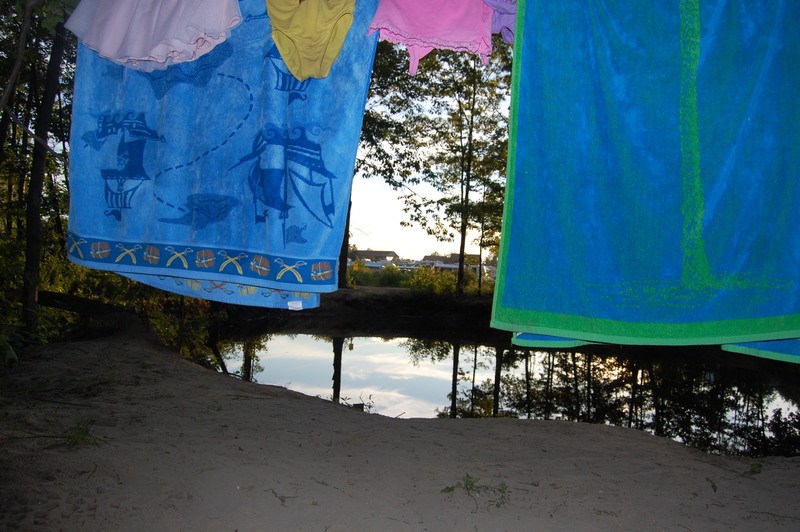 We have never camped there, but the very crowded sites are right on the beach. North of there is the lovely town of Ludington. During the summer a car ferry services Ludington from Wisconsin. 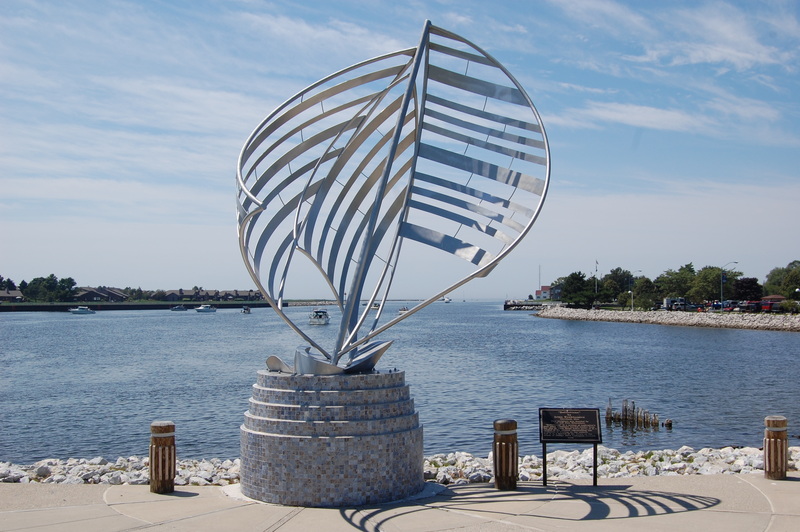 Ludington also boasts a wonderful city park that often attracts cool lake breezes. Our second time at that park we met an aspiring actress vacationing from LA and were witness to a fishing derby centered deep on the lake. The drive from Ludington to Empire, Michigan, in stretches, is as awesome as any drive in America or Canada. Across the lake you spy “mountains” (or at least big hills) and the road hugs a few cliffs as tight as another road does in California. There are some dense woods and turnouts and the seventy miles might take you two to three hours, especially if you remembered to bring a picnic. Sleeping Bear Dunes is a special area to us. It is one of the few places I know where the balance between wildness and development has been reached so perfectly. The small towns attract repeat customers, many of whom stay at the same cabins each summer (sometimes for the whole summer). We usually stay at a campground near Empire, Michigan. Empire is at the sleepy southern end. Each time we go there we drive to the public beach, roast some hot dogs on a fire pit, and watch the sun set. Usually there are hippies, tourists, and townies all gathered to do the same. So there you have a short trip from Chicago guaranteed to lighten your soul and add some miles to your odometer. Please, I love hearing from you. If you have any comments, questions, or just want to say hi, do so. This entry was posted in Middle America and tagged Michigan Coast, Road Trip, Sleeping Bear Dunes, South Haven by hennacornoelidays. Bookmark the permalink. These are great recommendations, Noel and Corey.. but please do tell us more about the fun and awesome adventures people can find in WISCONSIN and come see us soon!!! 🙂 Love you guys, have a nice Friday at school!! Where exactly is Wisconsin? Is it south of Canada? East of Minnesota? Is that where those Packagers are from? You know, the chaps who won the Super Plate.